After a highly disappointing 2011-12 campaign that saw the team fall precipitously from the summit of the Czech Extraliga, HC Ocelari Trinec (Trinec Steelers) has gotten off to a fast start in the early going of the current season. The team has won four of its first five games, scoring 16 goals to date while yielding only eight. Trinec dominated the league in 2010-11, finishing in first place during the regular season and then winning the first championship in team history. Last season, the club crashed back down to earth, falling to 10th place in the 14-team league. During the offseason, the team made numerous roster changes. Most notably, the club brought back forward Martin Ruzicka after a one-season stint in the KHL with Amur Khabarovsk. Ruzicka was a crucial piece of the puzzle in the team's championship season, ranking fifth in the league in scoring during the regular season and then staging a playoff run for the ages. In 18 playoff games, Ruzicka compiled 17 goals, 16 assists and 33 points to shatter the league's single-season playoff scoring record. The previous mark was held by Zigmund Palffy, who posted 26 points (18 goals, 6 assists) for Dukla Trencin in the 1992 playoffs, prior to the split of the former Czechoslovakian league into separate circuits in the Czech Republic and Slovakia. There has been a changing of the guard in Finnish hockey in recent years. After Karpat Oulu enjoyed a run as the SM-liiga's top team from the early to late 2000s, JYP Jyvaskyla has emerged as the team to beat. The defending champs have won the Kanada-Malja (Canada Cup, the league's version of the Stanley Cup) in two of the last four playoffs and captured the regular-season title in three of the last four seasons. JYP slipped to fourth in the regular season in 2011-12 but hit its stride in the playoffs. The team ripped through Assat Pori in four straight games in the quarterfinals, then needed only five games to down Jokerit Helsinki in the semis. JYP drew the second-seeded Pelicans Lahti in the finals. After dropping the first game 2-0, JYP won the next four games by a combined score of 16-8. JYP enters the 2012-13 season as the favorite to repeat as league champion, but will face stiff competition. Among other clubs, Karpat, KalPa Kuopio, 2011 champion HIFK Helsinki and their archrival, Jokerit Helsinki, all enter the season with championship aspirations. JYP was founded in 1977 and was an also-ran for much of its existence. The team enjoyed a period of success from the late 1980s to early 1990s, marked by losses in the playoff finals to TPS Turku in 1989 and Jokerit in 1992 (after a first-place regular season finish). Otherwise, the club primarily was known for its solid developmental system, which was raided liberally by wealthier clubs as its players began to mature at the professional level. More recently, JYP has become a model of how a small-market European club can operate successfully and with stability. It has continued to develop strong young talents, such as Anaheim Ducks defense prospect Sami Vatanen, who will make his North American debut this season with the Norfolk Admirals of the American Hockey League. Even with Vatanen's departure, JYP should have a good defense corps this season, with a mixture of experience (including 40-year-old Kalle Koskinen) and youth, as well as a blend of puck movers and stay-at-home specialists. From the Production Line to the Legion of Doom and the Stastny Brothers to the Sedin Twins, fans around the National Hockey League have long being captivated by high-scoring duos and trios who play as linemates. Swedish hockey is no different. The fabric of Swedish hockey tradition is interwoven with the exploits of lines such as the early-to-mid 1980s AIK trio of Per-Erik "Pelle" Eklund, Rolf Edberg and Peter Gradin, the early 1990s rise of Peter Forsberg and Markus Naslund as linemates for Modo and Farjestad's "Jonsson Gang" in the 2000s, featuring Jorgen Jonsson, Peter Nordstrom and Pelle Prestberg. 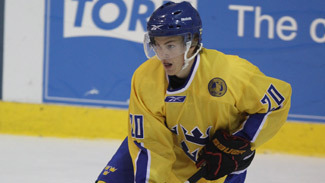 Which team in Elitserien will feature the top line in 2012-13? If preseason performance is any indication, the HV71 Jonkoping trio of Rhett Rakhshani, Jason Krog and Jesper Fast could be one of the most dynamic lines in the league, if not the best. Slovakia's Extraliga has endured some rough times in recent years. Never as well-stocked or well-funded as the Czech Extraliga or other, more prominent, European elite leagues, the Slovak circuit has nevertheless been the original source of many electrifying talents who later went on enjoy success in the NHL and international competition. A handful of prominent Slovakian players, such as Zigmund Palffy, Miroslav Satan and Zdeno Ciger, later returned to the domestic league. The Slovak Extraliga league faces a major new challenge in 2012-13: survival without its most famous and decorated team. HC Slovan Bratislava, which won the championship last season (its eighth Slovakian Extraliga championship and ninth including the country's Czechoslovakian era), has left the domestic league to join the KHL. After a bittersweet 2011-12 that saw the team finish first during the Swedish Elite League regular season only to lose its first-round playoff series in five games, Lulea HF pledged to add a little more offensive punch without compromising its identity as a club that plays stifling defense. If the early results of the 2012 European Trophy tournament are any indication, coach Jonas Ronnqvist's club is off to solid start in making good on its promise. Through five European Trophy round-robin games in the eight-team North Division, Lulea is 5-0-0, leading all teams in the tournament with 25 goals while yielding just eight. Coming off his best Elite League season to date, center Niklas Olausson ranks among the tourney's overall scoring leaders with seven points. Left wing Toni Koivisto, a one-time Florida Panthers draft pick entering his second season with Lulea, is tied for the tournament lead with five goals. In their most recent game, the Bears had relatively little trouble dispatching Czech Extraliga club HC Plzen in a road match at the CEZ Arena in the Bohemian city. After a scoreless and evenly played first period, Lulea surged in the middle period and then added to its lead in the third period to cruise to a 4-1 victory. High-scoring new recruit Linus Klasen scored a goal and an assist against Plzen, as did LHF's new team captain Chris Abbott. Veteran winger Karl Fabricius and former NHL defenseman Pavel Skrbek (a new arrival for the 2012-13 season) rounded out the scoring. Goaltender Johan Gustafsson, a Minnesota Wild prospect, turned back 25 of 26 shots. A few months ago, goaltender Antero Niittymaki was uncertain if he would be able to continue his professional hockey career. Chronic hip injuries hastened his departure from the National Hockey League. 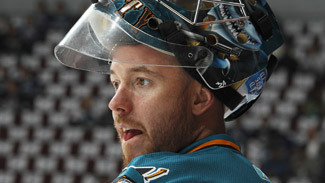 He had an artificial joint placed in his hip before last season and ongoing difficulties limited him to 13 games at the American Hockey League level in 2011-12. According to newspaper reports in Finland following the season, Niittymaki contemplated retirement as an active player. But after consulting with doctors and making some adjustments to his offseason conditioning regimen, the 32-year-old has instead elected to continue his career in his native Finland. On Monday, Niittymaki signed a one-year contract with TPS Turku. The deal marks a return to the organization where the goaltender began his career and enjoyed considerable success before departing for North America. One year after the tragic plane crash in Russia that took the lives of 45 people, including all of the players, primary coaching staff and other team personnel for Lokomotiv Yaroslavl, the Kontinental Hockey League team is set to re-launch hockey operations. The team has entrusted 56-year-old Tom Rowe with the task of coaching the club. Rowe, who served three seasons as an assistant coach with the Carolina Hurricanes (2008-09 to 2010-11) had spent his entire coaching career in the Carolina organization. He worked as a pro scout for the Hurricanes last season and previously spent four seasons as the head coach and general manager of Carolina's AHL affiliate in Lowell and Albany. Former NHL player and head coach Ted Nolan has never been one to shrink away from a challenge. Hired a year ago to turn around the sagging fortunes of Latvia's national hockey team, the one-time Jack Adams Award winner (in 1996-97 with the Buffalo Sabres) led the Latvians to a respectable 10th-place showing at the 2012 IIHF World Championship. Earlier this week, the Latvian Ice Hockey Federation extended Nolan's contract for an additional year and presented him with an even more important mission: Win the Final Olympic Qualification Tournament next February on home ice to earn a spot in the 2014 Olympics in Sochi. The qualification tournament will be held in Latvia's capital city of Riga from Feb. 7-10, 2013. Apart from the host nation, the field of teams competing for one Olympic spot will also consist of Kazakhstan, France and the winner of a preceding pre-qualification tourney.